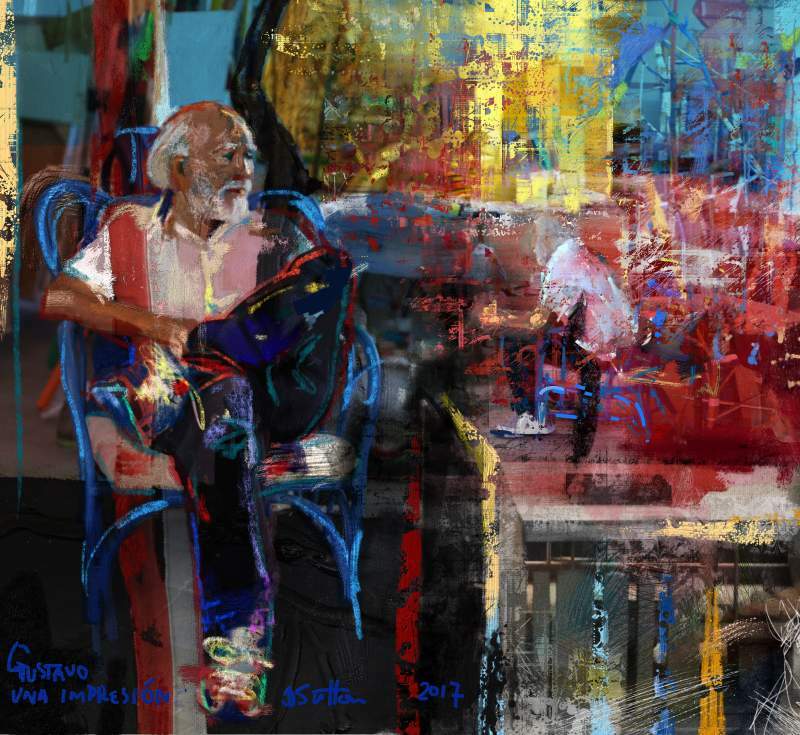 This painting is an impression of my friend and fellow artist Gustavo Ramos Rivera, who also has a studio in the 1890 Bryant Building where my art studio is located. 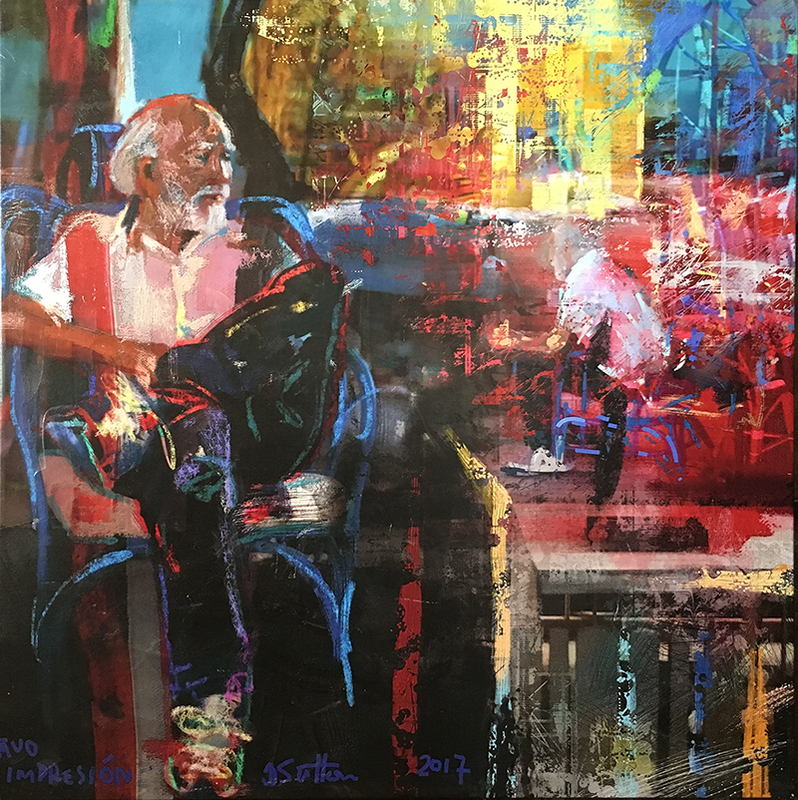 Gustavo’s fabulous use of bold color and texture is an inspiration to me and that is reflected in this work. I look up to Gustavo and this painting is an homage to his skill, character and eloquence that manifests itself in all aspects of his work and life. The digital component of this painting was created using Corel Painter 2018 on an iMac with a Wacom Intuos Pro pen tablet. The top image shows the full digital composition. It was then printed on canvas using pigment inks and hand-embellished with physical media (acrylic varnishes, gels and paint). The lower image shows the square crop I chose for the pigment print.